Phoebe’s BookCellar is a treasure trove of books, all competitively priced — and every single one will be half that price on Wednesday and Saturday this week. Phoebe’s BookCellar at the Old Lyme-Phoebe Griffin Noyes (OL-PGN) Library is holding a Half-Price Book Sale Saturday, April 27, from 10 a.m. to 2 p.m. If you have never been to the BookCellar — or haven’t been recently — now is your chance to get some incredible bargains on books, DVDs, CDs and audio books. 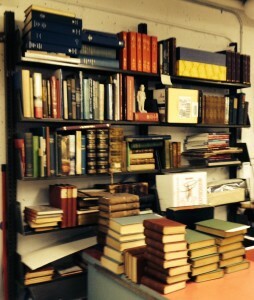 The BookCellar is a volunteer-run, used bookstore operating on the lower level of the OL-PGN Library. With over 10,000 books in all genres, including History & Biography, Fiction & Mystery, Children’s, Fine Art and Rare & Collectible books, Phoebe’s BookCellar is Old Lyme’s favorite (and only!) bookstore..
All proceeds from the sale benefit the library. Editor’s Note (i): The Library is located at 2 Library Lane, off Lyme Street. Spring hours are Monday and Wednesday, 10 a.m. to 7 p.m.; Tuesday and Thursday, 10 a.m. to 6 p.m.; Friday, 10 a.m. to 5 p.m. and Saturday, 10 a.m. to 4 p.m. For more information, call 860-434-1684 or visit www.oldlyme.lioninc.org. Editor’s Note (ii): If the Library’s parking lot is full, additional spaces are available on Lyme Street. There is also a parking lot behind the Old Lyme Memorial Town Hall across the street from the Library. Looking for bugs at the Earth Day Family Festival 2018. File photo submitted by Lyme Land Trust. 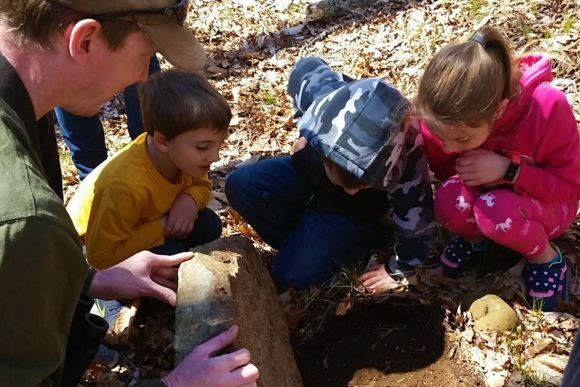 Celebrate this important day next Sunday, April 28, from 11 a.m. to 2 p.m. at the 2nd Annual Earth Day Family Festival sponsored by the Lyme Land Trust. During this community event at Banningwood Preserve on Town St. in Lyme, there will be a short half-mile walk from parking to Diana’s Field where there will be a host of family-friendly activities. Fun and games in Diana’s Field with Lyme’s Park and Rec. Bring your own blanket and picnic! Bring your own water to drink. The Town of Old Lyme Open Space Commission has announced an agreement to purchase approximately 300 acres of the McCulloch Farm for open space, and two smaller areas of three acres each within the 300 acres, subject to approval, for $600,000. Immediately following the unanimous approval of authorization to sign at a special meeting of the Old Lyme Board of Selectmen on April 1, First Selectwoman Bonnie Reemsnyder signed the contract on behalf of the town. The McCulloch Farm, established in 1929, is considered one of Old Lyme’s signature properties and, as such, has been a key priority for open space acquisition. The linkage of the McCulloch property to the town’s Ames Open Space, and to the adjacent Lay Preserve owned by the Old Lyme Land Trust, would create a large naturally significant greenway and forest, and it would greatly further a long-held goal of establishing a cross-town trail system for hiking, jogging, bicycling, bird watching and nature studies. In essence, the purchase would form an Old Lyme “Preserve” akin to that found in Old Saybrook. The property holds particular ecological importance as part of the upper watershed of the Black Hall River, a tributary of the Connecticut River, which is part of the Silvio O. Conte National Fish and Wildlife Refuge. A conservation easement on the property is held by The Nature Conservancy, Inc. While this easement does protect the land from development, it does not allow for public access to, and enjoyment of, the McCulloch Farm’s forest, fields and waterways. Upon closing of the sale, the Open Space Commission hopes to quickly provide public access, and will aim towards creating an initial trail by this spring’s National Trails Day. The Old Lyme Land Trust has generously committed to overseeing trail-blazing. Eventually, the commission envisions three public trails and will explore other potential public uses, consistent with preserving the property’s natural state. The complicated purchase has two components. The Open Space Commission would pay $500,000 for roughly 300 acres of McCulloch farm land. The existing conservation easement allows for the possible development of two three-acre areas not pegged to any particular location within the McCulloch property. 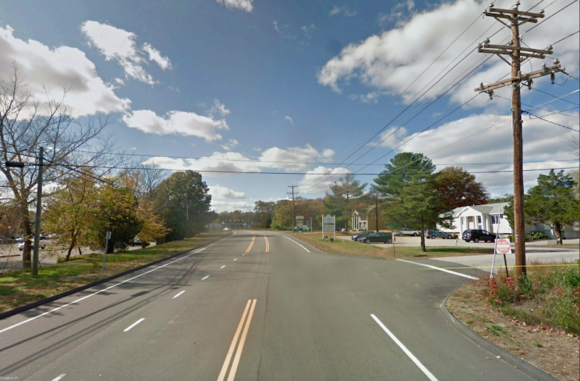 The town will pay $50,000 each for these areas, which have been appraised at $98,000 apiece. These areas would be fixed off Flat Rock Hill Rd., adjacent to affordable housing lots previously given to the town by David McCulloch. The Open Space Commission and McCulloch family hope the two areas will be similarly developed for future affordable housing, after which the acquisition fund would be reimbursed for their sale price. The purchase price of the McCulloch Farm property will be paid entirely from the town’s existing Open Space acquisition fund. No budget appropriation, debt or other expense to taxpayers will be needed. The commission will now seek the necessary final approvals. The Nature Conservancy, Inc. must approve the sale, although the town’s acquisition aligns with that organization’s goal of open space protection. The Open Space Commission will also present the purchase to the Planning Commission, with an ultimate goal of bringing the proposal to a Town Meeting in May. That question has been asked for decades … but never answered, or more importantly, acted upon. I remember back in 2001 when then-Speaker of the Connecticut House Moira Lyons held a news conference about our state’s transportation mess. The six-term Stamford Democrat, who was long on power by short in stature, stood next to a stack of consultant studies and reports almost as tall as she was. Enough with the studies, she said. Let’s fix it! One of the best things to come out of that call to action was creation of the Transportation Strategy Board (TSB.) It had representatives from business, labor, commuters, academics and planners. They had a one year deadline to come up with a 20-year-plan for Connecticut’s transportation future and how to pay for it. And they did. One of the TSB’s top recommendations was ordering new railcars for Metro-North, which finally happened under Governor Rell. But they also recommended highly unpopular funding mechanisms: a gasoline tax increase, sales tax surcharge and, yes, tolls. Former Governor Dannel Malloy had ideas. His $100 billion, 30-year “Let’s Go CT” plan had something for everyone in every corner of the state. It was ambitious, but it wasn’t really a plan, just a laundry list of projects without priorities or funding. Politicians love to take credit for the ideas but never want their fingerprints on the nasty business of paying for them. That’s why Malloy created … you guessed it … a blue ribbon panel: the Transportation Finance Panel. 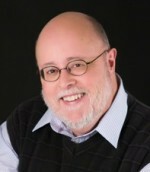 Among its members … Oz Griebel. “It was like that movie ‘Groundhog Day’,” Griebel recently told me. “It was the same people we saw at the TSB debating the same issues” 10 years later. And what did Malloy’s Transportation Finance Panel recommend to pay for his $100 billion “plan”? A gasoline tax increase, a sales tax surcharge, fare hikes and, you guessed it, highway tolls. Of course, none of those came to pass. It was an election year and who wants to run for a job in Hartford explaining to constituents that they have to pay more, especially when the Republicans mischaracterized such funding as “taxes” instead of user fees. Along the way, then-Governor Malloy abolished the TSB, ‘lest it should suggest one project had priority over another. He wanted it all, but got none, because he couldn’t sell the plan to pay for it. But now we have the Special Transportation Fund Lockbox, right? Any money that goes in can only be spent on transportation. Or so we were told. But as one sage observer of the transportation scene for decades recently told me, “The lockbox has more backdoors than a hot-sheets motel on the Berlin Turnpike”. We’ll see. Will the new legislature have the guts to finally raise the funding we need to fix our roads and rails? Or will I be re-writing this column again in another decade, like “déjà vu all over again”? 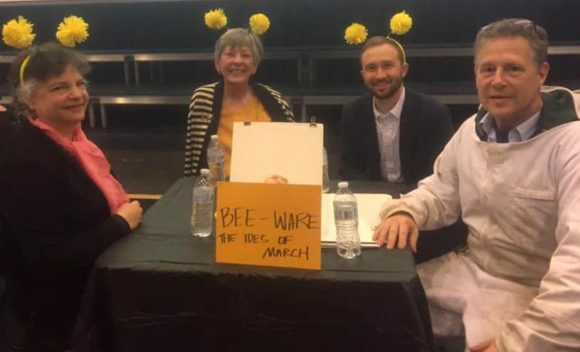 Local Dem’s Buzz to (Trivia) Bee Victory! Champions! From left to right, Matt Pugliese, Mary Stone, Jane Cable and Harvey Gemme stand proudly with their trophy. All photos by Liz Rubitski and Harvey Gemme. 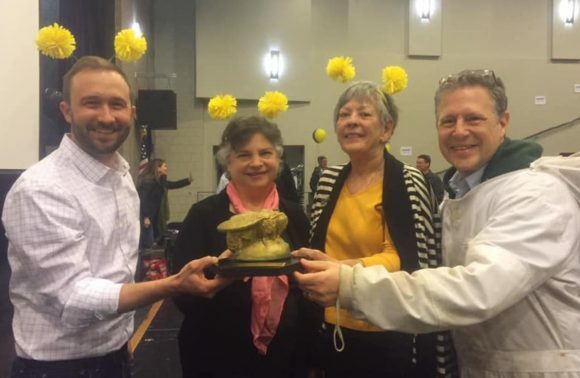 The Lyme, Old Lyme and Old Saybrook Democrats emerged victorious in Friday night’s Trivia Bee hosted by the Lyme-Old Lyme Education Foundation (LOLEF.) Emcee of the proceedings was veteran and charismatic Lyme-Old Lyme High School physical education teacher Bill Rayder and serving as judges were Lyme-Old Lyme Schools Superintendent Ian Neviaser and Kinny Newman. Playing under the both clever and topical team name of “BEE-ware the Ides of March” (March 15th is the Ides of March, and the ‘Beware’ quote is derived from the soothsayer’s warning about said date in Shakespeare’s ‘Julius Caesar’), local Democratic party team members were Jane Cable, Harvey Gemme, Matt Pugliese and Mary Stone. 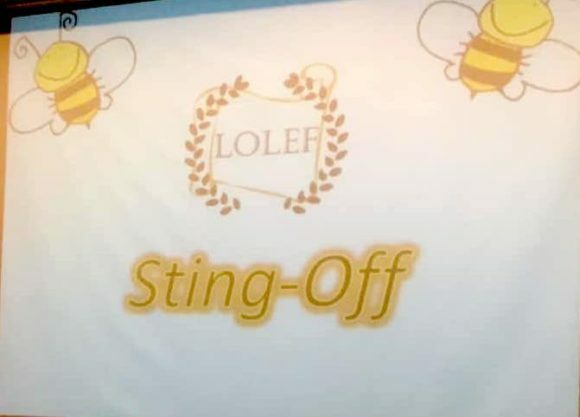 They battled successfully through the early rounds and then, when only two teams remained, the Dem’s won the aptly-named Sting-Off and were duly awarded the coveted Bee Trophy. The winning team takes a well-earned break from its labors between early rounds. The organizers of the Trivia Bee were LOLEF President Roger Nosal and Liz Rubitski. All funds raised will benefit the LOLEF, which is a charitable organization that provides financial support for educational projects, enrichment programs and innovative initiatives not typically funded by Regional District 18 or other governmental entities. LOLEF has awarded grants for educational initiatives benefiting our youngest students to our senior citizens. Find out more about the grants that have been awarded, as well as how to apply for a grant, at www.loef.org. Today, Congressman Joe Courtney (CT-02), Senator Blumenthal, and Senator Murphy highlighted the announcement from last week’s Mid-Atlantic Fishery Management Council (MAFMC) meeting that the MAFMC would be recommending changes to the Fishery Management Plan Summer Flounder that increase the quota for Connecticut commercial fishermen. Before the meeting, Courtney, Blumenthal, and Murphy wrote a letter to the MAFMC and the Atlantic States Marine Fisheries Commission (ASMFC) urging increased quotas be allocated to Connecticut fishermen. Last week, the MAFMC and the ASMFC increased the annual commercial quota for summer flounder for 2019-2021 to 11.53 million pounds. The groups also set new state commercial allocations for quota that exceed 9.55 million pounds. Rather than the inequitable allocation on quota up to 9.55 million pounds for New England fishermen, the new allocation of additional summer flounder quota is equally distributed among mid-Atlantic and southern New England states. Warming ocean temperatures are causing some fish stocks that had formerly been more prevalent in the mid-Atlantic to migrate further north than they had before, including popular targets for fishermen such as summer flounder. The changing migration patterns of fish stocks mean that many fishermen from mid-Atlantic states, such as North Carolina, are now regularly venturing farther north from their traditional fishing grounds, bringing them into direct competition with New England vessels operating off the coasts of Connecticut and Rhode Island. Fishing regulations for different fish stocks in U.S. waters are managed by a series of Regional Fishery Management Councils. Among the specific items that these councils regulate are the fishing quotas, or amount of a specific fish species that a fishing boat may catch. The mid-Atlantic fishermen, under the jurisdiction of MAFMC, can harvest substantially more summer flounder, black seabass, and scup than the northeast fisherman, who are a part of the New England Fisheries Management Council. While New England fishermen are catching more and more of these species in their nets, they are forced to continually throw many of these fish back into the water. The mid-Atlantic fishermen operating in the same area can at times legally take more than 10 times the catch of the New England vessels. Courtney, Blumenthal, and Murphy, along with several colleagues from Connecticut and Massachusetts, first wrote to the U.S. Department of Commerce about these inequities in 2016. On March 8, Old Lyme Police Officers responded to numerous calls from residents regarding unlocked vehicles that had been rummaged through during the overnight hours. The OLPD would like to remind everyone to LOCK all vehicles and to take any valuable items inside. Over the past several months Officers from Old Lyme along with surrounding departments have investigated similar incidents along with some vehicles being stolen. The OLPD is currently working on several leads in an attempt to locate those responsible. Readers are urged to contact the Old Lyme Police at (860) 434-1986 if they see any suspicious activity. This op-ed was submitted by Tina C. Gilbert of Lyme. It was also sent as a letter to State Senators Paul Formica (R-20th) and Norman Needleman (D-33rd), and State Rep. Devin Carney (R-23rd.) 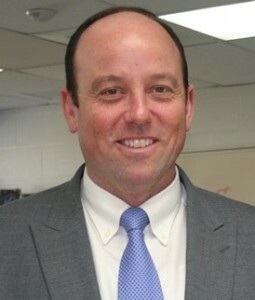 Gilbert has children in Lyme-Old Lyme Schools and is Vice-President of LCN USA located in Deep River, Conn. I am seriously concerned about the lack of awareness and sense of urgency in the Lyme-Old Lyme communities regarding the proposed Bills to force school regionalization, specifically Bill 454 (SB 738). It is a grave mistake for any tax payer in Lyme or Old Lyme to think this doesn’t affect them just because they don’t have children attending the schools. We know the chances of this getting approved are strong, if not, at this point, unavoidable. Unfortunately I was unable to attend the recent BOE meeting where I would have addressed my concerns. At the BOE meeting I understand that it was said that Region 18 had “good representation” at last Friday’s hearings on the proposed bills. We had, from my count, 5 children and 5 adults (2 without their children) at the hearing. The town of Wilton, conversely, had well over 100 – if not 150 constituents there. That is good representation. The hearing required three overflow rooms apart from the primary hearing room. Each of them packed with floors occupied by children. I could be mistaken, but I believe that is a very rare occurrence. Next week, the Committee will vote on whether these Bills move forward. If they vote to move forward, the consequences to our two communities will be devastating and irrevocable. Our local BOE is concerned about the attrition rate of students in Region 18. However, imagine if you will the entire school population coming from the Town of Lyme no longer attending the Middle School or High School. No amount of marketing for out-of-region students or pre-K applicants is going to fill that void. What then are the effects? Jobs gone. Shared programs gone (LYSB). Culture, history, community …. compromised. Taxes increased. Residents leaving. Property values tanking. Parents putting themselves into debt to send their children to whatever private school they can find. The Town of Old Lyme will follow the Probate system and will be regionalized with East Lyme, Salem and Montville. There will be a regionalized BOE and one Superintendent (that means 3 lose their jobs.) Governor Lamont specifically called out wanting to reduce the number of Superintendents. East Lyme is a large and powerful school. I don’t think it takes a deep thinker to figure out who is going to have more power in the new regionalized district. We live in the Town of Lyme. We moved here from Deep River so that our children would be in the Region 18 schools. With this forced Regionalization, Lyme will join Deep River, Chester, Essex, Haddam and Killingworth. Children from the farthest reaches of Lyme will be bussed across the river to attend schools there. Bus rides will be well over an hour. Parents who want to be active in their children’s schooling will be challenged with having to follow suit and drive either over the bridge to Rt 9 (and soon pay tolls to do so) or over the bridge in Haddam. My husband and I recently moved our business to Deep River, so we know how time consuming it is to come back to Lyme Consolidated in the middle of the day for a school event. This is the first year of the last seven that our children have been in the school that we’ve missed nearly every program. Frankly it would be easier for us to have our kids going to school on the other side of the river. But we don’t want that – we moved here for the quality of the education. In summary, this infers that we residents of Lyme and Old Lyme are a bunch of privileged racists who only want the best for their children and none for others. This tired tactic is offensive and reprehensible. I am happy that there is broad bipartisan support against these Bills. But that’s not enough. If these Bills fail, the Governor has proposed his own Bill SB 874 with 32 pages of detail on a very powerful school consolidation commission that will make decisions that may or may not have to be put to vote by the legislators. The Governor stated he will sign it into law. There is also discussion of a new Regional Tax layer – to add to our Federal, State and Local taxes – to support all of this. In the end, Forced Regionalization equals Forced Equalization equals Forced Marginalization. The sum is Disaster to our communities. The word needs to get out to our communities, so at the very least they are educated on the subject and not blind-sided when they learn of the fate of their children’s education or are shocked when they see their future tax bills. How can we make this happen? How can we get the word out? We have very little time. State Senator Norman Needleman (D-33rd), whose district includes Lyme, issued the following statement Monday on school regionalization proposals. “On Monday afternoon, Sen. Needleman met with the Lyme Board of Selectmen and had an extended conversation with them about his work so far in the legislature, the policies he will and won’t support this legislative session, and how he can best work with the town. The discussion featured school regionalization as a lead topic. Sen. Needleman has proposed Senate Bill No. 572, “An Act Encouraging Regional Cooperation Between School Districts,” which would allow multiple boards of education acting in concert to define their own school districts and have that collaboration recognized by the state as a Local Education Agency, or LEA. Needleman points to his hometown of Essex and its collaboration with Chester and Deep River for grades K-12. The towns are required to operate five boards of education with thirty-three board members in order to share costs and comply with current state statutes. 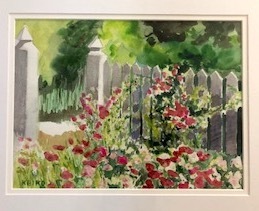 This watercolor by Keiko Kaiser depicting a beautiful flower garden is one of the featured pieces of artwork currently on display in Old Lyme Town Hall. The Shoreline Artists’ Workshop and the Lymes’ Senior Center’s art classes, under the instruction of Sharon Schmiedel, will combine their artistic talents to present an exhibition at the Old Lyme Memorial Town Hall during the months of March and April. Exquisite pieces of work will reflect a variety of visual media and styles. All pieces will be for sale, with a portion of any proceeds donated to the Senior Center. There will be an opening reception on Friday, March 8, from 4 to 6 p.m. at the town hall. Come celebrate the Senior Center artists for their dedication to support the visual arts and the Senior Center community. The Eastern Connecticut Symphony Orchestra (ECSO) ushers in spring with a concert Saturday, March 23, titled Springtime Lark featuring an eclectic blend of repertoire sure to entice listeners of all varieties. The concert will be held at the Garde Arts Center in New London starting at 7:30 p.m. and the pre-concert chat will begin at 6:30 p.m. Continuing the tradition of featuring women composers, Joan Tower’s work Fanfare for the Uncommon Woman, No. 6, rounds out her 80th birthday celebration. In the concert’s second half, the orchestra performs the thrilling Symphonic Dances by Sergei Rachmaninoff. This three-movement suite was composed by Rachmaninoff while overlooking the Long Island Sound in 1940. The work, originally conceived to be music for a ballet, combines wild rhythms and rich harmonies. Now it is performed most often in the concert hall as a stand-alone piece, which is a testament to its compositional strength. Patrons attending will also be among the first to hear about the 2019-20 season and can subscribe at the event that evening for a chance to win a special prize to be announced from stage. This concert is generously sponsored by Yale New Haven / Lawrence + Memorial Hospital. All attendees are urged to meet and greet with fellow concertgoers and ECSO musicians at the complimentary post-concert reception in the upper lobby of the Garde Arts Center. The reception is sponsored by ECSO Board members Tom Berl, Svetlana Kasem-Beg, and Bob Reed. The 72nd season’s lineup, curated by Music Director and Conductor Toshiyuki Shimada includes major repertoire selections from Rachmaninoff, Mendelssohn, Dvořák, Mahler and many more. It will bring a thrilling range of sounds to the Garde stage. 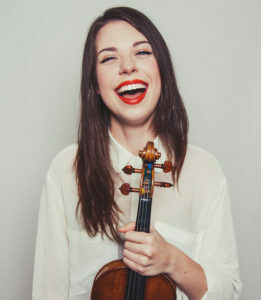 In addition to these timeless composers, the ECSO has co-commissioned a new work by Michael Torke, which will feature violinist, Tessa Lark, performing a bluegrass-style concerto. Along with the guest artists who will grace the front of the stage will be many familiar faces from within the ECSO’s very own sections. Stephan Tieszen, the ECSO’s Concertmaster for 30 years; principal bass, Tom Green; and principal violist, Barbara Wiggin, will all make featured appearances throughout the season. The Eastern Connecticut Symphony Chorus will join the ECSO for Verdi’s Stabat Mater and Mozart’s Mass in C Major. Lyme-Old Lyme (LOL) Schools Superintendent Ian Neviaser has issued a statement strongly opposing the proposed state legislation that would force regionalization of school districts with less than 2,000 students into much larger districts. Tomorrow, Friday, March 1, at 1 p.m. in Room 2E of the Legislative Office Building, the Education Committee will be holding a public hearing on the proposals. This legislation affects Lyme-Old Lyme Schools because even though Lyme and Old Lyme are already regionalized into Regional District 18, the total number of students in the district is significantly less than 2,000, which is proposed as the minimum size (number of students) of any school district. Full details of the hearing and how to submit testimony either in writing or in person are in our article at this link and have also been published on the LOL Schools Facebook page. He stresses, “Of greatest concern is the idea that we will lose our small local schools which are vitally important to the success of our students. Students could be forced to endure lengthy bus rides, attend massive schools where they lose personal connection with their teachers, and our communities will no longer have the ability to manage the education of our children. Districts across the state, ours included, already engage in regional services that save money.” Neviaser attached a detailed summary of services that are already regionalized, which we have published in its entirety at the foot of this article. Food service cooperative purchasing (electricity, school supplies, oil, building management systems, and energy efficiency), workers’ compensation, financial software, a finance director, liability insurance, medical benefits. Six entities share a health cooperative, ECHMC. These cooperative efforts include partnerships between school districts and their local municipalities, between school districts, and with regional educational service centers. School districts also cooperate with their municipalities on their facilities. For example, sharing with their town for snow removal and sanding of lots, fields and campus upkeep, emergency management drills, and the use of schools as evacuation sites. School districts also cooperate with community organizations, sharing with parks and recreation and other town organizations, classroom exchanges and before and after school programs. School districts cooperate between and among themselves to provide regional transportation to reduce costs and address specific needs. Multiple districts report ride sharing for special education transportation to similar special education sites. School districts also share transportation for some magnet school routes, as well as to technical schools and vocational agricultural schools. Clubs and athletics were also noted as a place where transportation has been shared. At LEARN, fourteen of our member towns use our hub system for transporting students to LEARN magnet schools. More than ½ of the districts report sharing human resources, that is a position that is shared between two school districts. Specifically, cafeteria management director, teacher of the blind, social worker, BCBA, English language learner teacher. Several report sharing positions with their municipalities including Finance Director, Department Facilities Manager, Human Resources, Grounds management, Information Technology, school resource officers, and school to work coordinators. A number of school districts share special education services, such as a regional parent night, the STRIVE program—between three school districts. Several districts also report shared transitions services 18-21 and mandated services. At LEARN, our regional educational service center, 16 school districts utilize our out-placement programs for students with autism and complex highly specialized needs. Every district in LEARN’s member area use some Student Support Services, such as related services, BCBA services, instructional support staffing, Extended School Year, consultations services and technical assistance, and professional learning opportunities for educators among others. The large majority of reporting school districts indicate the use of regional professional development opportunities. The majority of all LEARN area school districts participate in regional professional development opportunities, either with LEARN, with our sister RESCs, and/or providing opportunities between and among each other based on needs and interests. For example, districts report sharing professional learning in a five district consortium, a four district one including a charter school, across all LEARN districts for regional professional development days and regional offerings at LEARN, to name a few. All LEARN districts report participating in LEARN roundtables, networks and communities of practice. All LEARN districts participate in establishing a voluntary regional calendar that establishes regional professional development days that are in common. This regional planning has promoted professional learning communities across a wide array of disciplines to help educators refine their skills. School districts cooperate with their municipalities as well as other towns regarding technology. Specifically, districts report shared efforts in network management, security cameras and ID’s and purchasing software. They also report sharing technology staff (such as network management and data management technician). At least half of the reporting districts shared a broad array of educational programs. These include areas such as alternative education—small school co-funded with another district, extended school year with another district, diversity training—student leadership with two other school districts, athletics—cooperative teams (gymnastics, girls swimming, boys swimming, ice hockey). Three districts have a six team hockey cooperative, among others. There are shared expulsion programs across two towns. There are shared extended school year services and social skills programs. One district also reported cooperation with community partners for a summer feeding program, benefiting a 9-town area. There are also grant funded opportunities across school districts lines, such as inter-district grants, Title III and Perkins with LEARN, and shared federal funding for intra and inter-district magnet schools. Sixteen Districts cooperatively purchase on line learning for students through LEARN. The Military Superintendents Liaison committee (MLSC). MSLC is a partnership between the Naval Submarine Base, the US Coast Guard Academy, the National Guard, and local school districts in New London County. It works together for the improvement of transition, as well as academic and school experiences for military and highly mobile students. 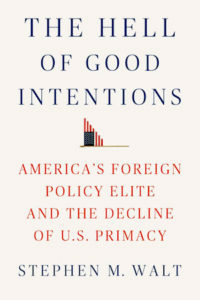 This leadership group has influenced policies and established practices to support military families. has sustained a work-related permanent disability that has resulted in an inability to return to their former employment and has suffered a permanent wage loss. the disability must arise out of a workplace injury. The 2019 scholarship provides $1,250 per semester for four years. The amount of the scholarship fund is awarded to the child or dependent of a disabled worker, who demonstrates both academic excellence and the financial need to go on to college. The disability must arise from a workplace injury, and be confirmed by acceptance of the claim, a workers’ compensation final decision or social security award. 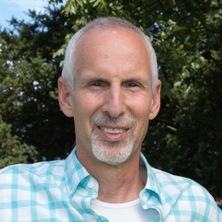 “The pressures that fall on disabled workers and their families are tremendous” explained Matthew Shafner in 2010 when he was chairman of the committee. 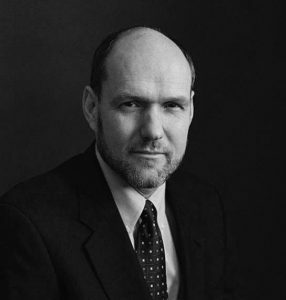 “This scholarship fund eases one of the important financial burdens that disabled workers often face.” Shafner, a nationally recognized attorney and former Chairman of the Disabled Workers Scholarship Subcommittee, passed away in September 2015. Applications are available throughout Connecticut in the offices of high school guidance counselors, labor unions and Workers’ Compensation Commission offices. The applications should be received by April 1, 2019 at the Scholarship fund, Disabled Workers Committee, Inc., c/o Suisman Shapiro Attorneys-at-law, 2 Union Plaza, Suite 200, New London, CT 06320. A statewide committee of prominent educators will carry out the screening and select the successful student. The Disabled Workers’ Committee is dedicated to educating the public about the importance of returning impaired workers to the workplace as soon as possible. When we published a piece about Connecticut towns banning single-use plastic bags, we received an overwhelming response on our Facebook post about the article from our readers that they supported the idea of Old Lyme enacting this policy. Connecticut uses more than 400 million single-use plastic bags each year, and many of them wind up in Long Island Sound, the Connecticut River, and waterways across the state. They can have devastating effects on our wildlife and environment, and it’s time to put a stop to their menace. 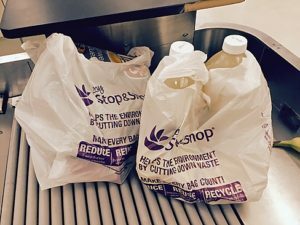 Rep. Steinberg and Sen. Haskell are working hard to eliminate single-use plastic bags in Connecticut. Join them today so we can show the entire General Assembly that the movement is gaining momentum. You can also sign a petition to ban single-use plastic bags in our state. Sculptor Gil Boro in his studio in Old Lyme. When our souls become heavy with life’s burdens, art has the potential to soothe and solace. Indeed, Pablo Picasso wrote, “The purpose of art is washing the dust of daily life off our souls.” That theme will be explored in an exhibit of new works by nationally and internationally renowned sculptor Gilbert Boro at the Main Street Gallery of Congregation Beth Shalom Rodfe Zedek (CBSRZ) in Chester, Conn. The exhibition titled, Coming Together, features works created by Boro, which were spawned during the period of intense grief that he experienced subsequent to the passing in 2013 of his beloved wife of 48 years, Emily Seward Boro. An opening reception for the exhibition will be held on Sunday, Feb. 3, from 3 to 5 p.m. All are welcome and admission is free. Detail of a sculpture from “The Knot” series. The exhibition is a prequel to the opening of the synagogue’s “Meditation Garden,” scheduled for 2020, which will include a large-scale sculpture loaned by Boro, who subsequently plans to donate the original model of the loaned garden sculpture to CBSRZ. 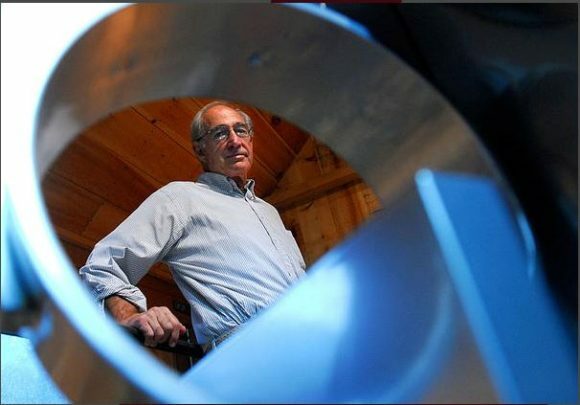 Boro lives and works at Studio 80 + Sculpture Grounds in Old Lyme, where, together with his late wife, he has created an outdoor, park-like setting to exhibit more than 100 sculptures. The show has special significance for Boro because the synagogue is the repository of a Memorial Light celebrating Emily’s life. The period of sadness and depression that followed her passing acted as a catalyst for creativity, Boro believes, sparking multiple new ideas in his mind that culminated in his “Musical Master Works” and “What’s Knot to Like” series. 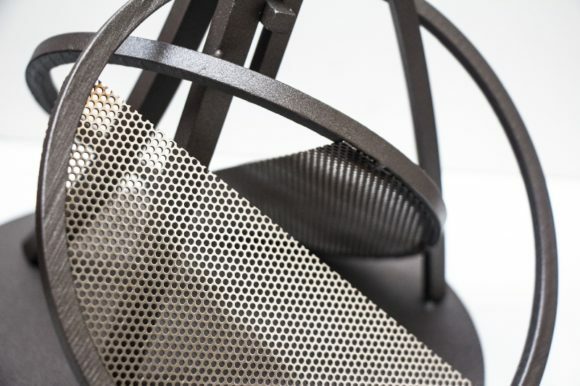 Ten to 15 works of aluminum, steel, and copper from these series, plus some larger pieces, will be on public display for the first time. The Master Works and Knot series are Boro’s most recent works, incorporating original design concepts with a touch of playfulness. The “Musical Master Works” series transpired after attending a number of musical performances, which, in turn, inspired him to consider the tangible forms and shapes that the music might create. The “What’s Knot to Like” series reflects the many years Boro was deeply committed to offshore sailboat racing and cruising with his wife and family. Photography by Christina Block Goldberg will also be part of the show. 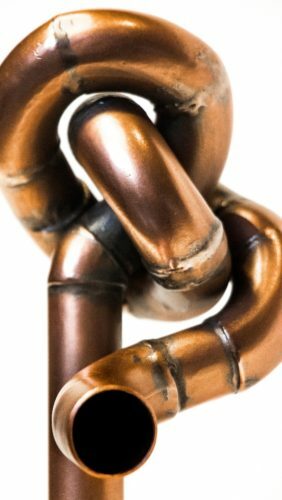 Goldberg’s captivating images give viewers a unique insight to Boro’s sculptures by offering intimate, close-up inspection of the joints and details. The images will be printed on thin sheets of aluminum using a dye sublimation process. “This exhibit is rather novel,” notes gallery curator, Linda Pinn, continuing, “in that to a large degree the works to be exhibited will be scale models of those he [Boro] anticipates placing in the garden.” She explains that the “Meditation Garden” is envisioned to draw on the therapeutic power of nature and inspiring capacity of art since many studies now conclude that exposure to creative works is an elixir for our emotions when struggling with anxiety, depression, loss, and pain. The Coming Together exhibition will be on display until April 30. The Main Street Gallery at CBSRZ focuses on art works with themes relating to issues of concern in our society and the world at large. It is always open to the public free of charge, Monday through Friday, 10 a.m. to 3 p.m., and on Sundays when Sunday school is in session. It is located just off Rte. 154 at 55 East Kings Hwy, Chester, CT.
For more information, visit www.cbsrz.org. 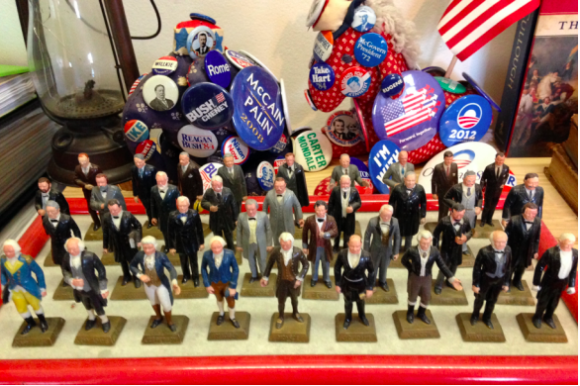 The Old Lyme-Phoebe Griffin Noyes Library will be hosting a display of James Meehan’s presidential memorabilia, which offers a fascinating history of the United States. The collection by Meehan, who is an Old Lyme resident, will be on display from Feb. 1 through Feb. 28.